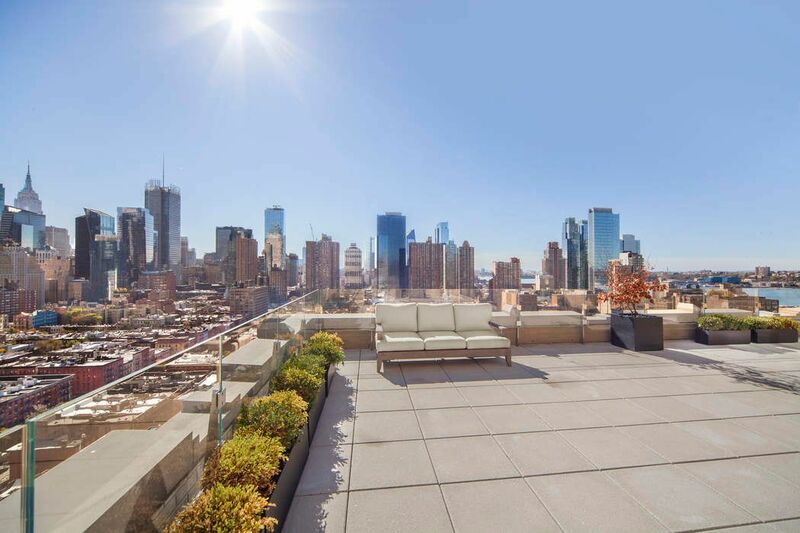 425 West 50th Street PH A, New York, NY 10019 | Sotheby's International Realty, Inc.
$11,495,000 3 Bedrooms3 Full / 2 Partial Baths3,596 sq. 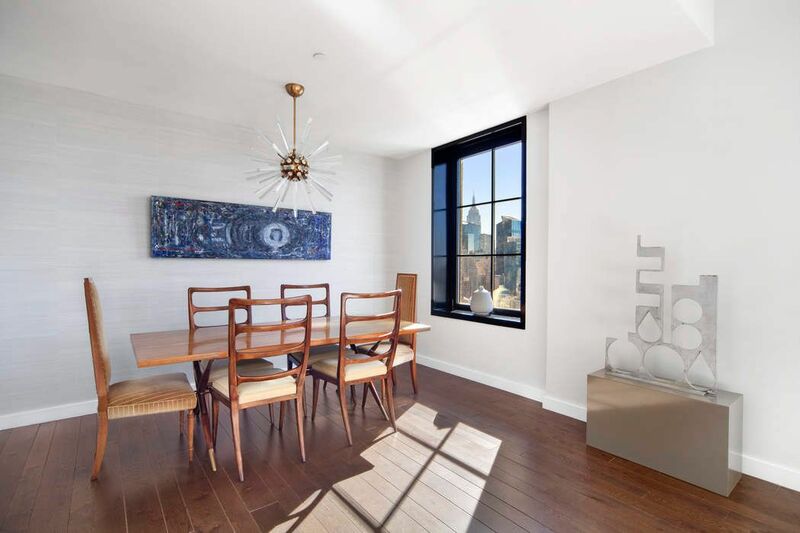 ft.
Penthouse A at Stella Tower is truly a gem atop a masterpiece. This magnificent 3 bedroom, 3 bath and 2 half bath residence has been thoughtfully laid out for the ultimate form of luxury living. 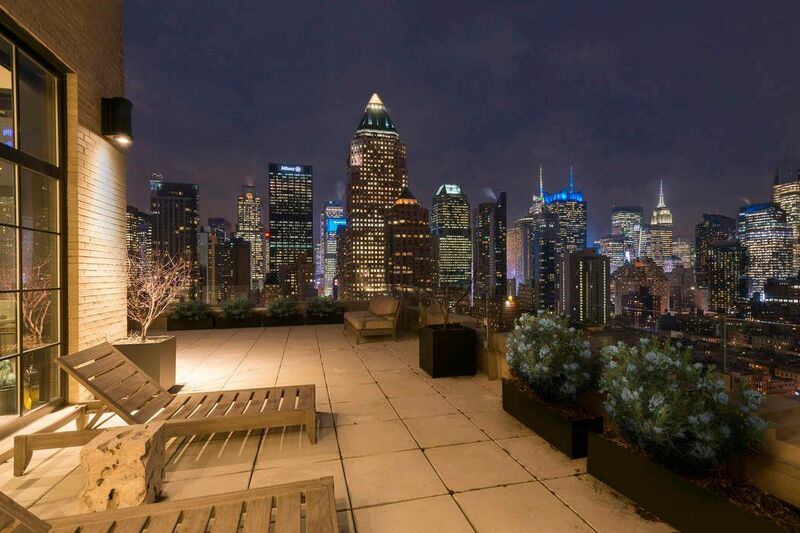 This one-of-a-kind penthouse is the epitome of grandeur; boasting 14 ft. ceiling heights, approx. 3,596 sq. ft. interior and a 934 sq. ft. private terrace. Stepping into this gracious foyer, you are welcomed by a captivating dining area with spectacular views. 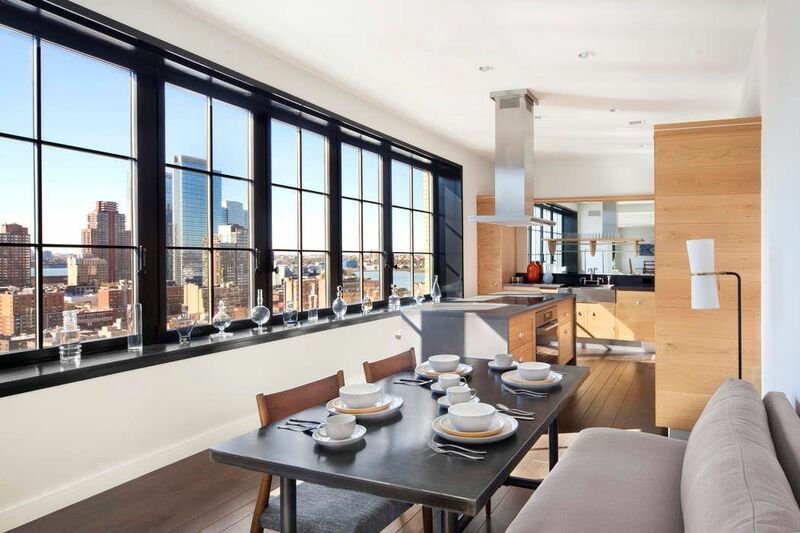 A wall of oversized windows flood this expansive dining and living room with natural light and iconic Manhattan views. 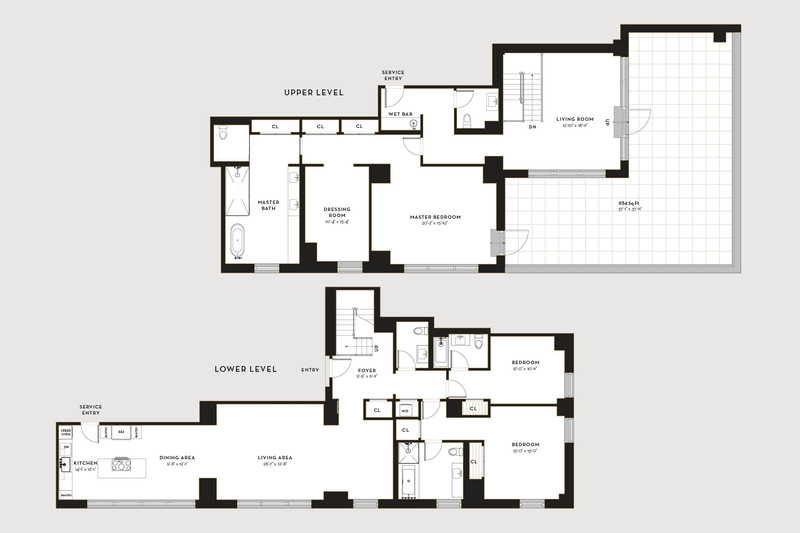 The state-of-the-art eat-in kitchen features breathtaking southern, eastern and western exposures; while also being fitted with Smallbone of Devizes cabinetry, polished concrete countertops, Waterworks R.W. Atlas fixtures, Nanz hardware and all Miele appliances. 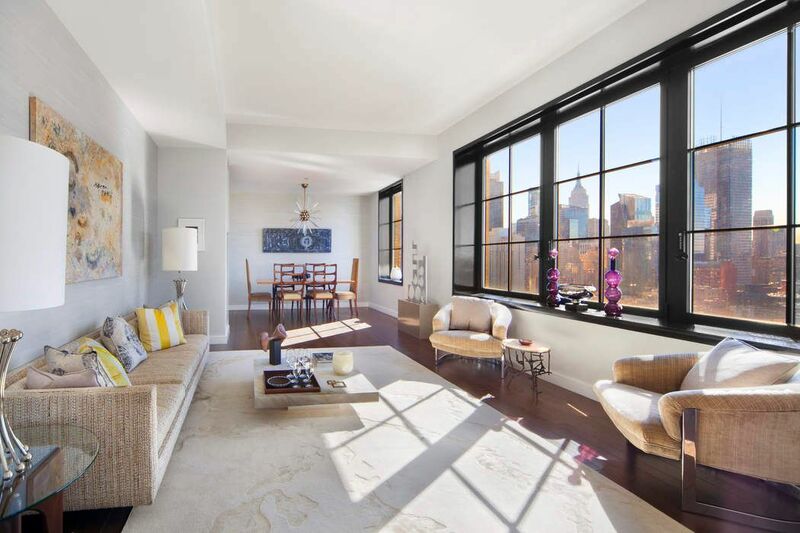 The second and third bedrooms both feature en-suite baths, expansive closets and fantastic NYC views. 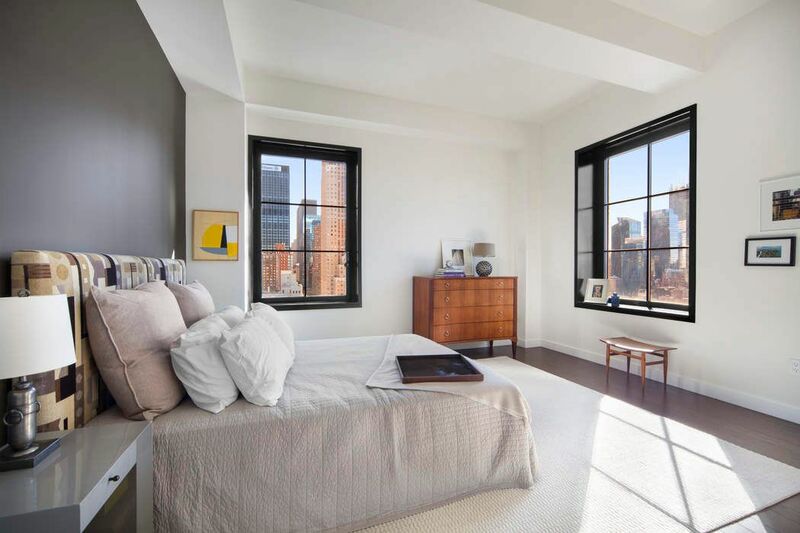 The second bedroom features 2 large built-out closets with an en-suite windowed bathroom that is designed with a glass enclosed steam shower, soaking tub, custom steel vanity and radiant heated marble flooring. Custom hand laid solid oak flooring run throughout this home as well as a built-in Nest Learning Thermostat. 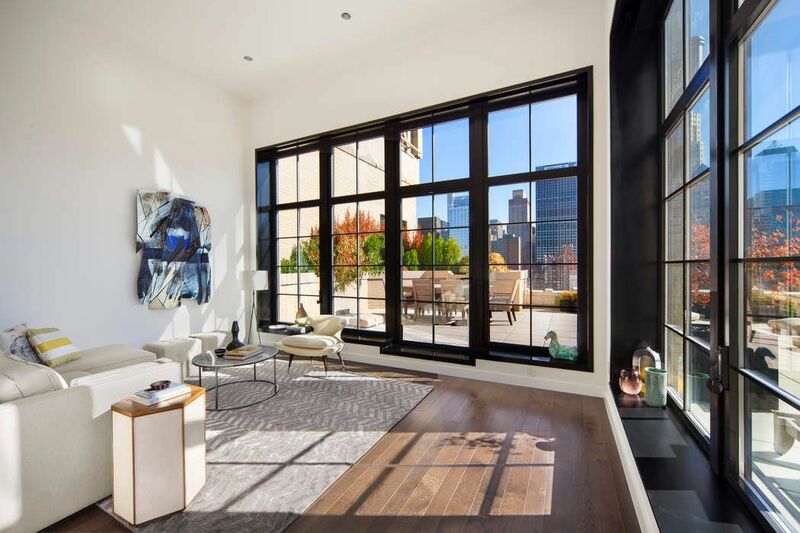 A gorgeous staircase leads to this absolutely jaw-dropping master floor with 14 ft. ceilings and unparalleled eastern and southern views of Midtown and Downtown Manhattan. 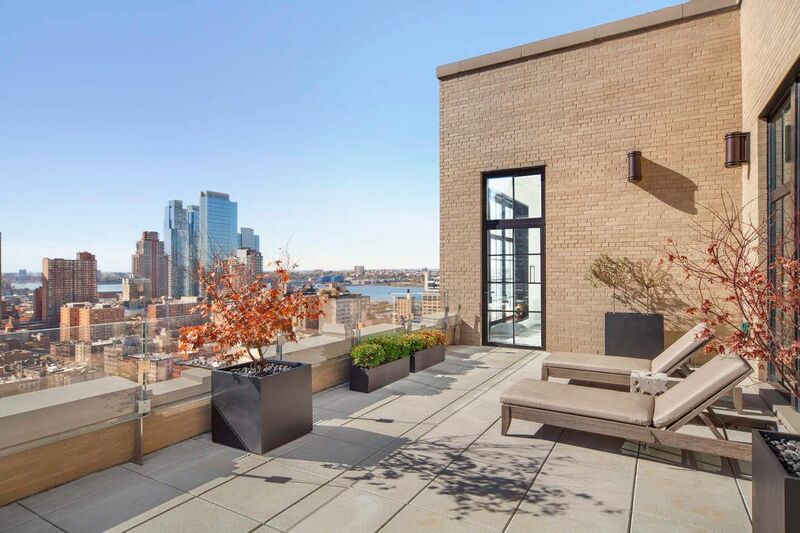 A spacious sitting area with a wet bar and powder room, lead to a sprawling private terrace. 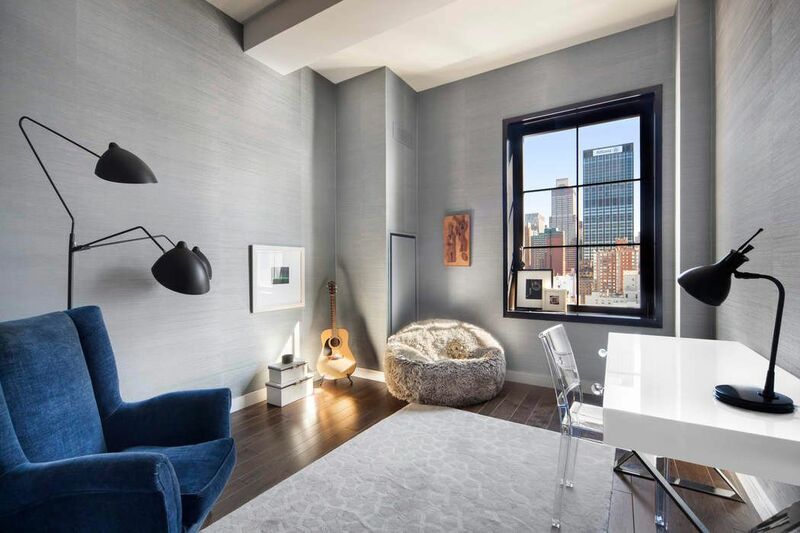 This extra-large master bedroom surpasses all meanings of luxury with its double height ceilings, dramatic city views, enormous walk-in closet and over the top en-suite bath. This windowed master bath features a large glass enclosed steam shower, cast iron soaking tub, double sinks, steel vanities and Black Zeus marble radiant heated floors in a chevron mosaic pattern.